5th Avenue, Hollow Body/Semi Hollow Body Electric Guitar from Godin in the 5Th Avenue series. The Godin 5th Avenue brings you back to a time when the archtop acoustic guitar reigned supreme. 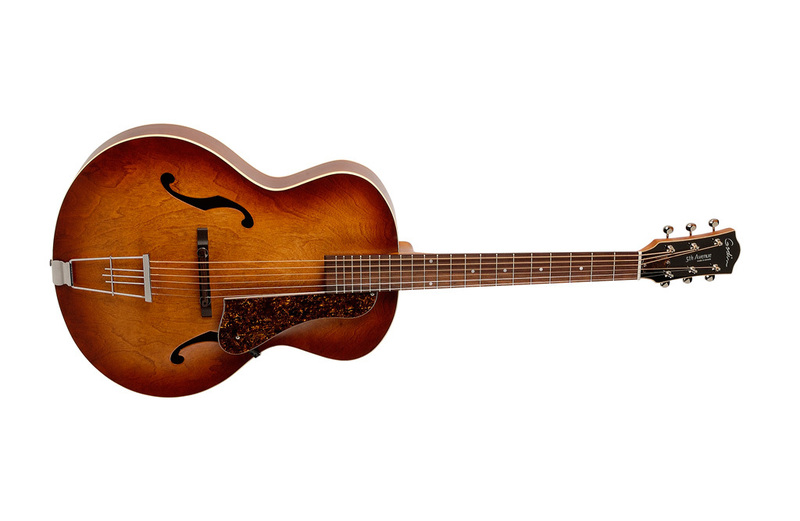 The 5th avenue is a return of the 50's archtop guitar spirit, but with a modern guitar's feel and playability. Made from Canadian Wild Cherry, the body of the 5th Avenue features a molded arched top and back, as well as an adjustable rosewood bridge, classic f-holes, contoured high-gloss headstock, floating pickguard and cream binding. Also, the rustic beauty of its Custom Polished Finish creates a gorgeous satin sheen reminiscent of the French polish of the 19th century. 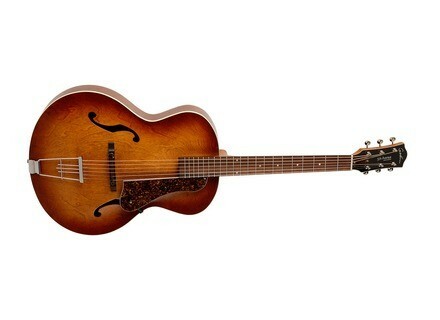 The Godin 5th Avenue….the archtop acoustic of the past, for today’s modern musician. With its early beginnings in 1972, the Godin Guitar family now includes 6 lines of guitars. These include the renowned Godin electric line, as well as the finely crafted acoustic lines such as Seagull, Simon & Patrick, Norman, Art & Lutherie and LaPatrie nylon stringed classical guitars. Godin Guitars is also the manufacturer of the revolutionary TRIC acoustic guitar case. Based in Montreal Quebec, this Canadian company has 6 factories, 5 of which are located in the Eastern Townships of Quebec and 1 located in Berlin New Hampshire. Godin Guitars is also the Official Exclusive Guitar Sponsor of the John Lennon Educational Tour Bus and Songwriting Contest.